Benton & Tilley: Tennis Anyone? 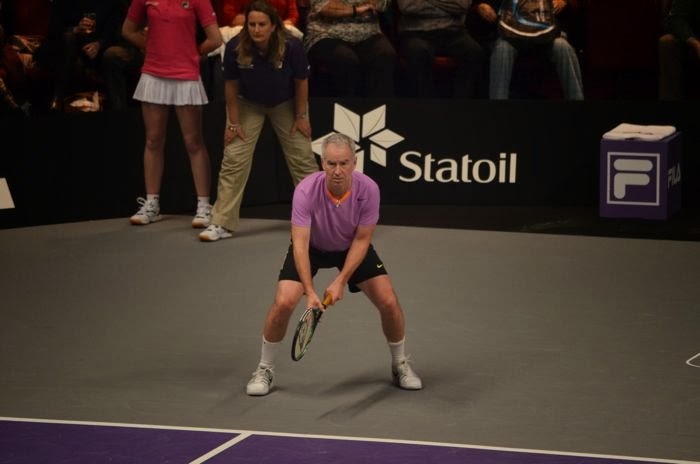 Look, I know a lot of people detest John McEnroe. Some people believe he was a spoiled brat who was disrespectful on the tennis court. Many people take issue with his sexist comments about female tennis players and commentators. But I love the guy. First of all, he has an encyclopedic knowledge of tennis, both the technical game and its history. Second of all, when Flushing Meadows was rebuilding its main tennis stadium for the U.S. Open, many people involved in the process opposed naming the stadium after Arthur Ashe. John McEnroe lobbied passionately to have the stadium named after his good friend, Ashe; and eventually McEnroe was successful. So I was over the moon when I saw a poster advertising that McEnroe would be playing in an exhibition match while I was in London. Even better, the location of the match was just a ten minute walk from my flat. The match was held in Royal Albert Hall, which is a grand performing arts center. I was looking forward to the hilarious prospect of John McEnroe cursing and throwing tantrums in such a beautiful and historic building. 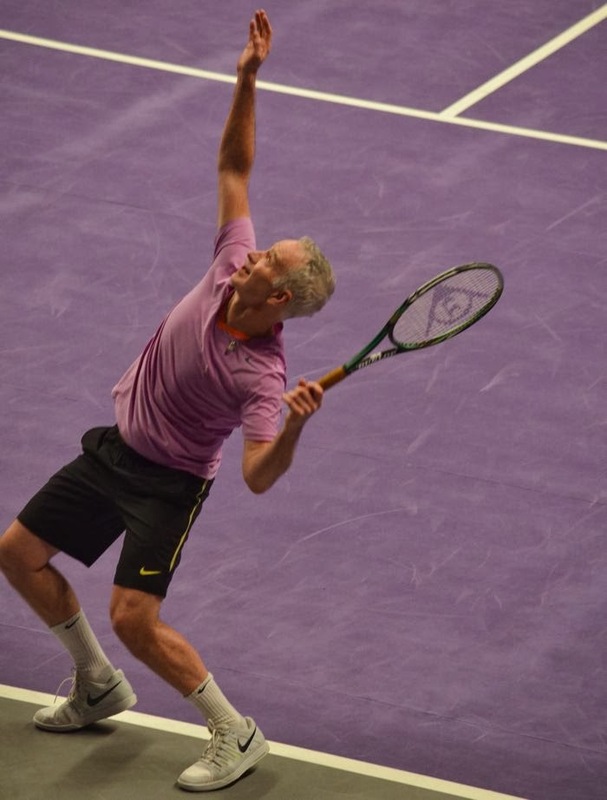 It was my first time seeing McEnroe play in person, and he didn't disappoint. His awkward, jerking forehand. His deft footwork. His aggressive serve and volley game (which, sadly, is so rare in today's game). 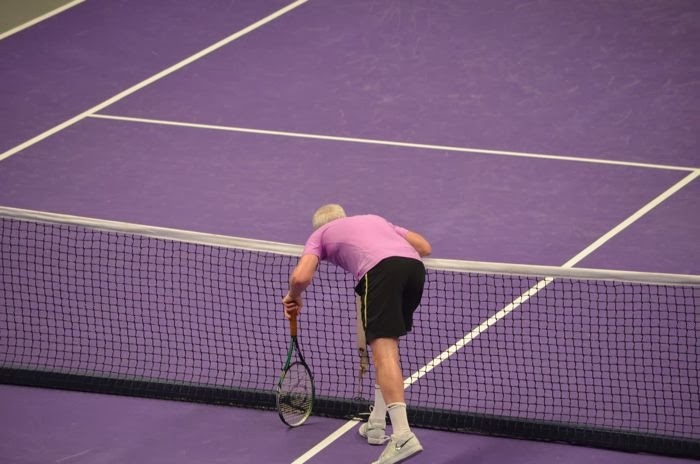 Of course, McEnroe couldn't get through the match without a few histrionics, but most of it was in good fun -- teasing his opponent, joking with the crowd, and kissing the net after the ball scuffed the top of the net and dribbled over to the opponent's side of the court. All in all, a fantastic night of tennis.